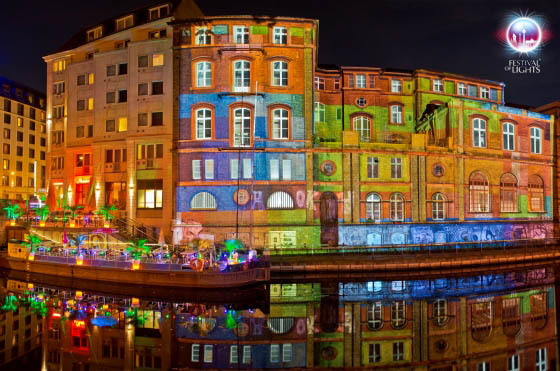 Every year, in October, Berlin transforms itself in an amazing art lighting installation. 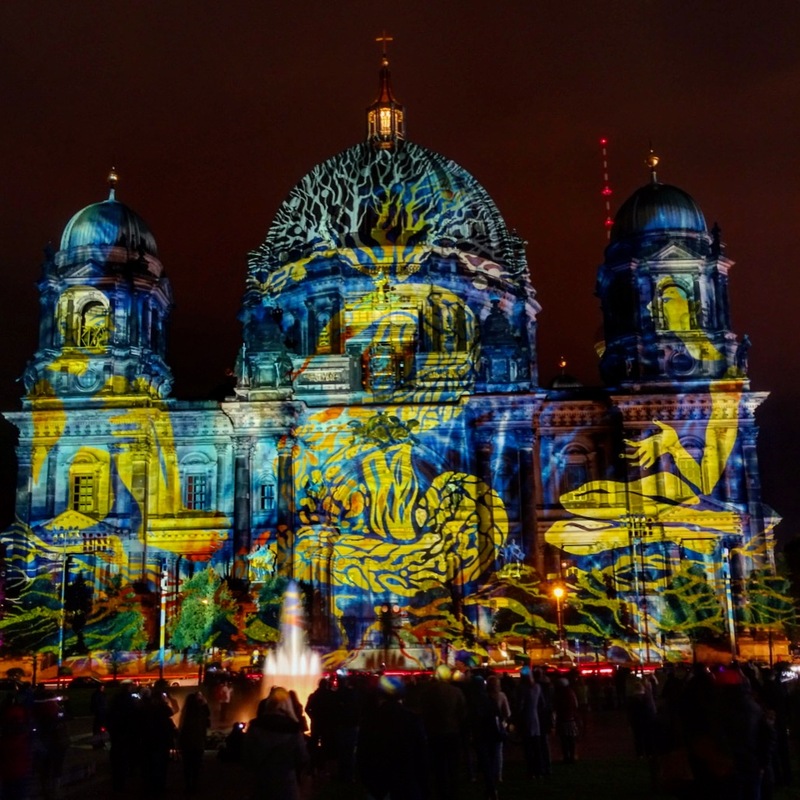 During the Berlin Festival of Lights the city’s famous landmarks, monuments and squares receive beautiful and dynamic lighting installations/projections that take everyone’s breath away. The insanely cool projects are done by leading local and international lighting artists. As the sun sets the streets come alive with people walking around town in search of the coolest light project. 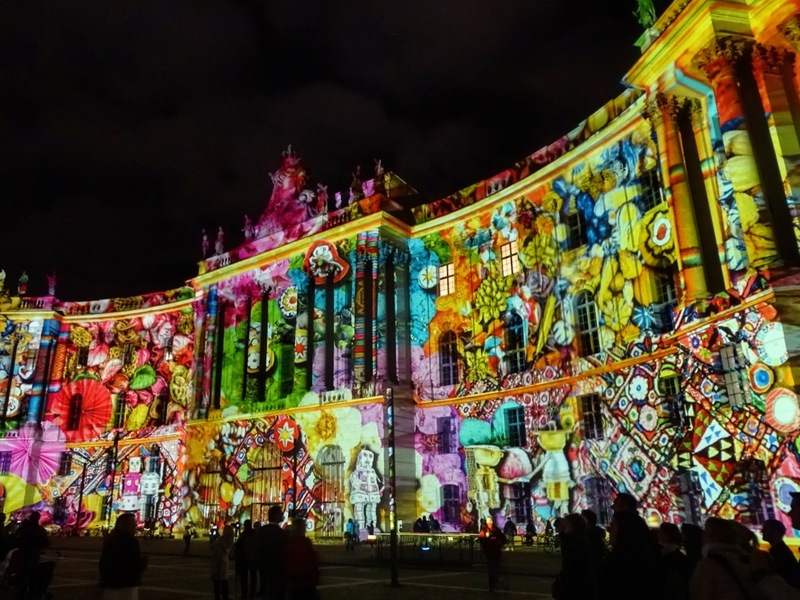 The Berlin Festival of Lights usually lasts about 10 days (two weekends). Lights are usually on after 7PM and light shows will go on until midnight. In 2016, the Festival will run from October 7th to October 16th. Admission is free to all installations and some companies will offer guided tours through the main shows. For more info on “Lightseeing” Tours, check this website. We usually explore on our own. Before we leave home, we check the event’s website to understand where the installations are, get our cameras and wander around town. 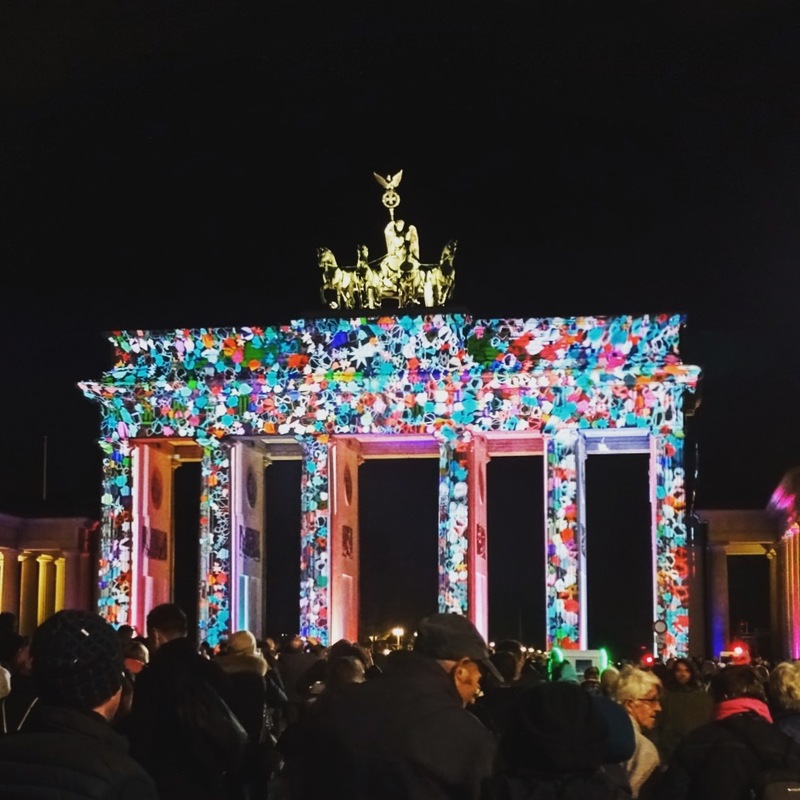 Our starting point is usually the Brandenburg Gate. It is probably too ambitious of a goal to hit all installations in one night, so if you would like to see them all, plan to do it in two or three nights. Beyond the lighting installations there are quite a few events hapenning around the Festival like concerts, performances and photo workshops. For more information on specific events and dates, please click here.